Here's a quick guide for general ESL students and teachers and some specific help for Italian speakers learning English. "Help!" I hear you say, "I can't pronounce the letter H!" Don't worry, you're not alone. But why is it so important to pronounce /h/ correctly? Well, if you forget the letter 'h' at the beginning of words, it often becomes a completely different word. 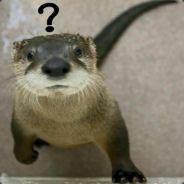 For example, if you forget the 'h' in 'hotter' it becomes 'otter' and unfortunately an 'otter' ("lontra") is a little furry mammal that lives in rivers! So you see, forgetting the 'h' can cause a lot of confusion. Adding a 'huh' sound before the vowels make all the difference. So, how do you make this sound? Trust me, you'll be able to make this sound correctly with a bit of practice. It may not be in your native language, but you produce make this sound all the time without even thinking about it. Making the /h/ sound involves aspiration. Now, this sounds very technically but these four simple illustrations show that you can produce this sound easily. Imagine the times when you've breathed steam ("hoh!") onto your glasses to clean them. Imagine Father Christmas (Babbo Natale) crying, "ho! ho! ho!" or laughing "ha! ha! ha!" Do you remember the times when you've drunk a cup of tea and suddenly realized it's too hot. What do you do? You make a sort of rapid 'hoh! hoh! hoh! sound as you try to cool it down in your mouth non? Now, sometimes you may panic about the letter 'h' and add an 'h' where it's not needed. For more help, click on the link for the British Council's interactive pronunciation guide [http://goo.gl/rR3oG] where you can hear all the sounds to practice and repeat. I hope this was helpful for you whether you're a student or an ESL teacher. Please leave a comment below if you have any thoughts or any questions for me. Thank you - that's marvellous! Lovely blog by the way - thoroughly enjoyed perusing your posts. 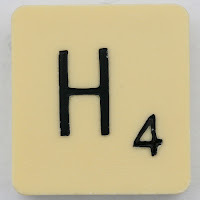 Just wondering if there is a software that can help to detect when the letter h is pronounced or not. This will be most helpful.